Nina Ottoson’s interactive dog toys are so much fun (see the Pug-a-Palooza in action!) and such great recovery tools to alleviate boredom that we thought we’d share a little more about her terrific activity games. Nina Ottoson’s dog games are designed with three different difficulty levels. 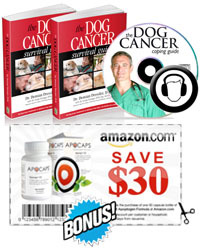 Choose them based on your dog’s current health and state of mind. Hide some treats in the depressions under the rotating discs. Let your dog/cat turn the disc with its paw or nose in order to find the hidden goodies through the hole in the rotating disc. The degree of difficulty increases if you place the white plastic block in the hole of the rotating disc. One can tie a string through the hole in the block to make it easier for the dog to lift the blocks away. Should your dog have an injured paw, for example, you can place the game on a stool to make the dog work with its nose only. The dog is to look for treats by moving blocks in four different directions. The block can only be lifted up at the end of each track, underneath each block there is a compartment where snacks can be hidden. You can vary the game by using more than one block in the same track. If the dog wants to throw him/herself on the game and hit hard with its paw, then teach it to work with the nose. dogs that need extra mental stimulation. The dog should look for treats by pulling out the flaps in different directions. In each flap there is a depression where the treat can be hidden. Increase the degree of difficulty by locking the flaps using the plugs on the top. Begin by placing treats in all the flaps that can be pulled out. Allow the dog to watch as you put in the treats. The first few times you can make it a little easier for your dog by not pushing the flap all the way in so that the dog can sense the smell and see a little of the treat. Try to get the dog to push the flap with its nose or paw in order to pull it out. Once the dog has begun to understand how the flaps work you can make it more difficult by pushing the flaps all the way in before the dog begins looking for the treats.